What is the 4 Deserts Ultramarathon Series? The 4 Deserts Ultramarthon Series (the 4 Deserts) is a world-class series of 250-kilometer / 150-mile ultramarathons across the largest deserts on Earth. These are the Gobi Desert in Mongolia, the Atacama Desert in Chile, the Namib Desert in Namibia and Antarctica. The 4 Deserts also organizes the RacingThePlanet Ultramarathon, an annual race that takes place in a new location each year. 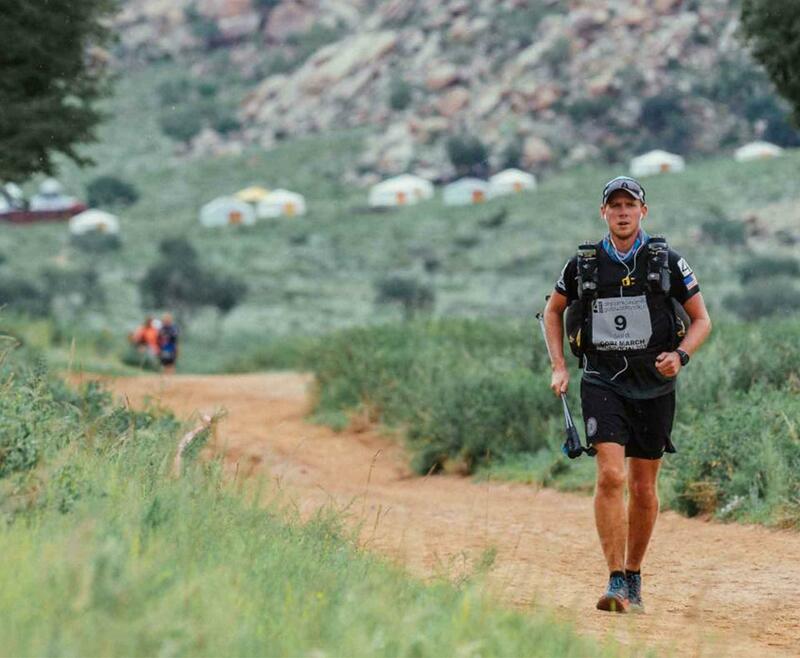 The first RacingThePlanet Ultramarathon took place in Vietnam in 2008, followed by Namibia in 2009, Australia in 2010, Nepal in 2011, Jordan in 2012, Iceland in 2013, Madagascar in 2014, Ecuador in 2015, Sri Lanka in 2016, Patagonia in 2017 and New Zealand in 2019. 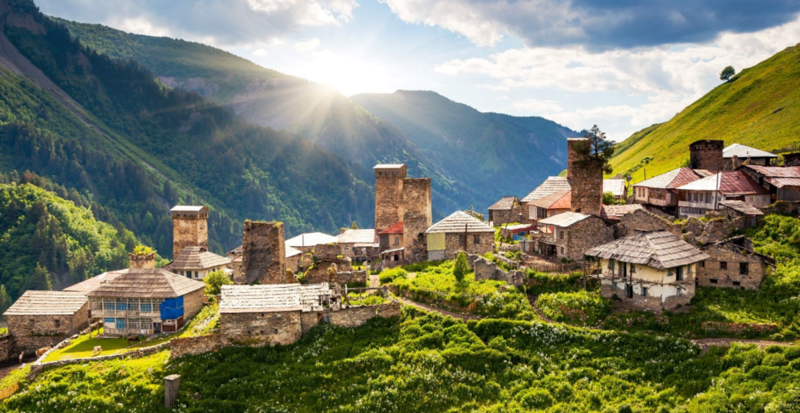 In 2020, the race takes place in The Great Caucasus of Georgia. Is the 4 Deserts an ultramarathon, adventure race, expedition race or some kind of extreme race? We like to think of the 4 Deserts as its own category or genre. The races are ultramarathons but do not fit into the classic definition of an ultramarathon. Instead, we refer to the 4 Deserts as a series of self-supported endurance footraces which can be completed by running or walking. What is the format of the 4 Deserts? Each 4 Deserts event is a seven-day, six-stage, 250-kilometer ultramarathon. During the event, competitors must carry their own personal gear, food and clothing in a backpack. The only assistance provided to them is water (plenty) for drinking and making food, tents to sleep in at night, and medical and management support. Why were these locations chosen for the 4 Deserts? 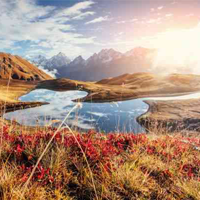 Deserts are separated into four categories: subtropical, cool coastal, cold winter and polar. 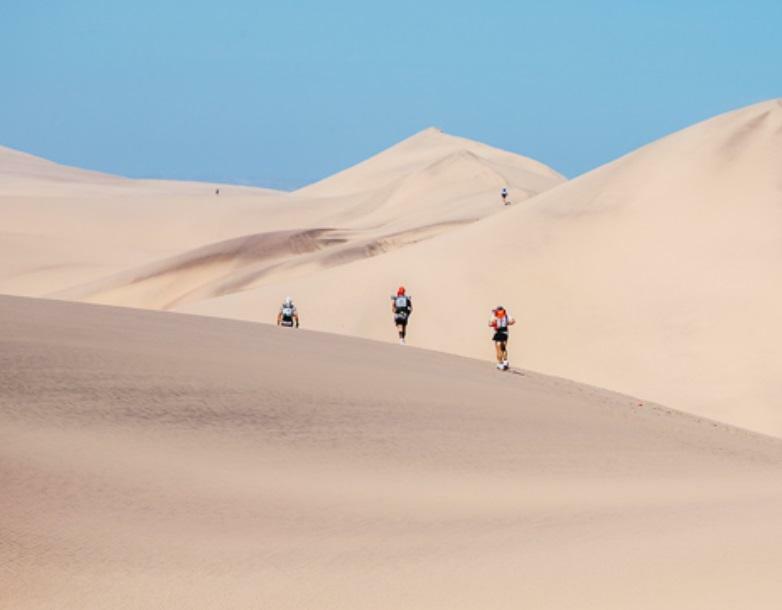 The 4 Deserts Ultramarathon Series which take place in the largest deserts in the world - they represent the driest, oldest, coldest and windiest places on Earth. 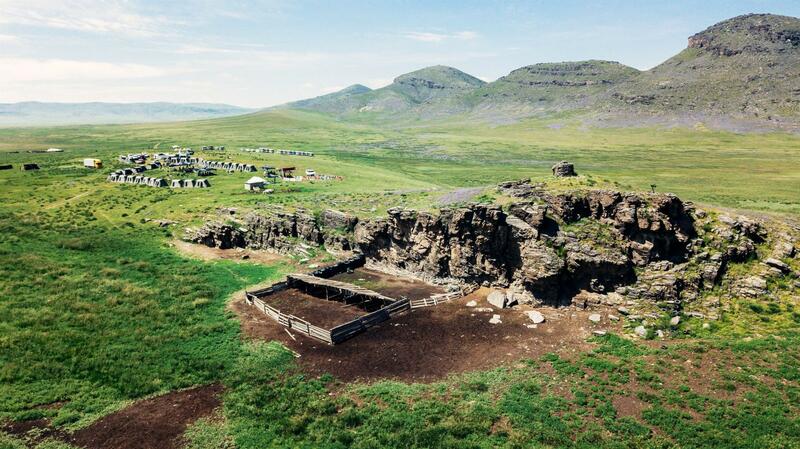 The courses have also been set up to pass through some of the most beautiful, pristine and untouched lands on Earth. The Atacama Crossing takes place in the Atacama Desert which is the largest cool coastal desert in the world and represents the driest non-polar desert of the 4 Deserts series. 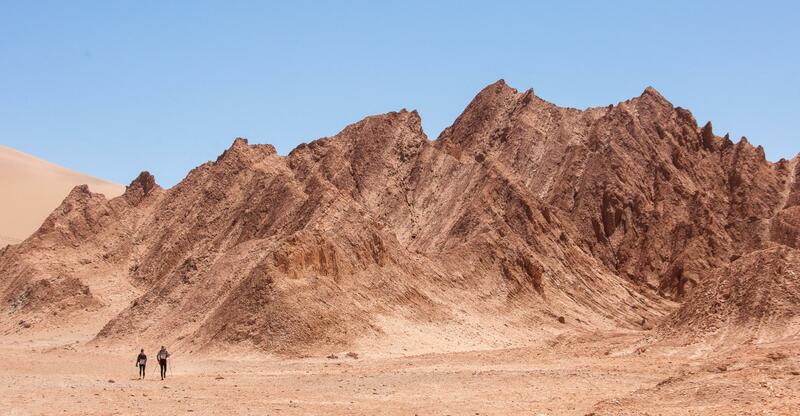 The Namib Race takes place in the oldest desert in the world, the Namib Desert. 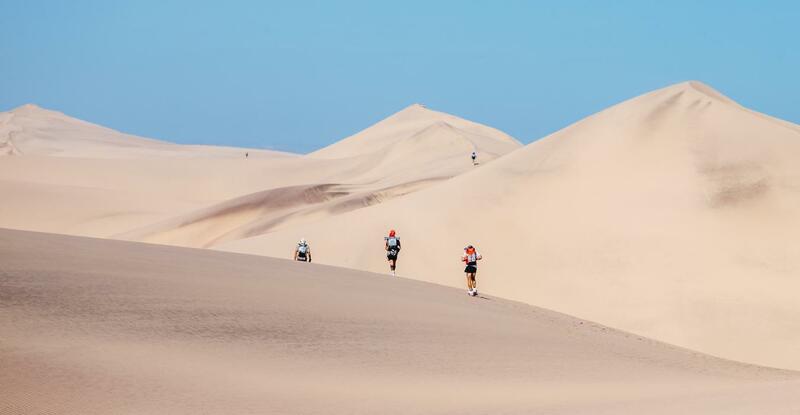 The Namib Race replaces the Sahara Race, the original 4 Deserts race in Africa, which started in Egypt in 2005. It has since been moved to Namibia due to the instability and safety concerns in North Africa and the Middle East. The Last Desert takes place on the coldest and windiest continent, Antarctica. Antarctica has the highest average elevation of all the continents. Antarctica is considered a polar desert with annual precipitation of only 200 mm (8 inches) along the coast and far less inland. Do I have to sign up for the whole series or can I compete in just one event? Which event do I have to complete first? You may participate in Namib Race (Namibia), Gobi March (Mongolia) and Atacama Crossing (Chile) at any time. 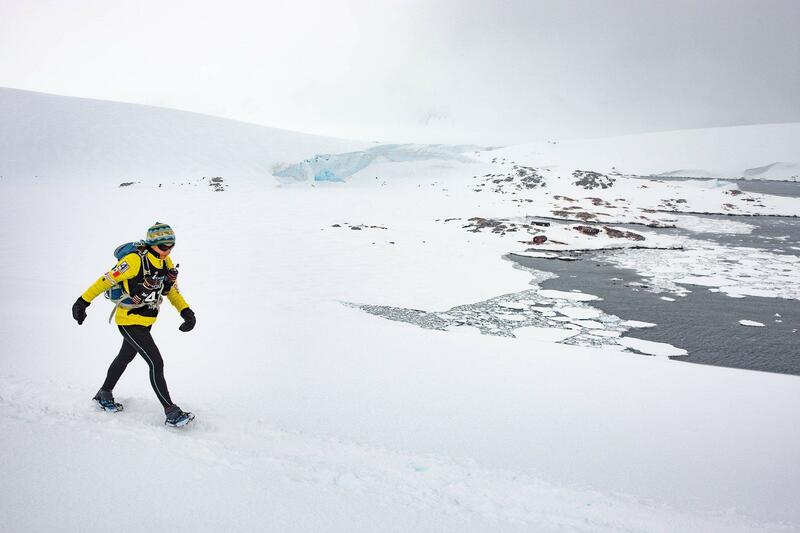 There is no specific order in which you must do the events and you do not have to commit to all three; however, if you are interested in competing in The Last Desert (Antarctica), you must first qualify by successfully completing at least two of the other 4 Deserts events. What is required in order to take part in the 4 Deserts? There is no qualification required to take part in a 4 Deserts race but competitors must be healthy and maintain a certain level of fitness. All competitors are required to submit a medical form with information on fitness level, a form with emergency contact details and a stamped doctor's certificate two months before the race. Who typically competes in the 4 Deserts? The typical competitor is a high achiever - someone who believes in maximizing every opportunity in life. Our competitors generally work full time, some have families, many perform community service and all lead healthy lifestyles. Our competitors consist of medical doctors, professors, investment bankers, small business owners, actors, entrepreneurs, journalists, top athletes and coaches, military professionals, managers, and stay-at-home moms and dads. We have many father/son, father/daughter, mother/son and brother/sister competitors. The events are international with approximately 40 countries represented in each event. Typically, 30% of competitors are women and 70% of competitors are men. How many people have competed in the 4 Deserts? More than 10,000 individuals over 15 years have competed in the 4 Deserts. Many competitors return multiple times. There are more than 170 members of the 4 Deserts Club. These members qualified for the club by completing all four of the 4 Deserts races. Additionally, we have between 60-80 volunteers, staff and medical team members working at every event. In total, 800-1,000 participants take part in 4 Deserts events each year. How much time do I need to do the event? 4 Deserts events consist of six stages taking place over seven days. Competitors typically arrive two days before the start of the race and are free to leave any time after the race concludes. Make sure not to miss the fun part - the Awards Banquet! I don't think I can run 250 kilometers, can I still make the cut-off times? The event is set up to allow for generous cut-off times. Approximately 20% of competitors will run most of the course, 60% combine running with walking, and 20% will walk the entire course. A competitor that can complete 40 kilometers / 25 miles in 10-12 hours should be able to meet the cut-off times. Our competitors are busy people - we don't expect them to train all the time, but a minimum amount of training and preparation is expected. Some competitors complete events with minimal training; others want to win and spend many hours training. Each competitor has his or her own goal. We simply want people to finish. - Expert articles prepared by doctors, health and sports professionals on a variety of topics related to training, preparation and medical care. All of the articles are available on the RacingThePlanet Store website and in a special Competitor Area of each event website. - The expert article titled Preparing for an Event is a particularly useful to help get started. - Competitor blogs are a great way to collect training tips to implement into a personal training plan. The blogs also provide a way for competitors to share questions and advice with one another. How far in advance do I need to sign up? 4 Deserts events are very popular - some events sell out more than one year in advance. We recommend that prospective competitors complete an online registration as early as possible and at least four months before the start of the event. Places are confirmed upon receipt of the deposit payment. Once the event is full, new applications will be added to the waiting list. What medical support is provided? A fully qualified team of medical doctors from United States, many of whom have attended a number of 4 Deserts events over the years, works at each event. Most doctors are emergency physicians with affiliations at Stanford University and other reputable medical schools. During the event, there is a medical doctor at most checkpoints to offer assistance and care on the course. There is also a medical tent located at every campsite where competitors can seek medical assistance or advice. Note that this is a self-supported race, so each competitor must bring the mandatory medical items listed in the equipment list. Competitors must carry ALL mandatory equipment items, including food and electrolytes, at all times during the event. Equipment lists with mandatory gear requirements can be found on the equipment page of each event website. The equipment list has also a section of optional and recommended gear items. How much does an average competitor backpack weigh? Where do competitors sleep each night? How do I get to the start of the race? We provide information on common flight routes and local contacts to help competitors make arrangements to get to the country of the event. We also provide information on staying additional nights at the hotel, airport transfers, domestic flights (if required) and other travel arrangements. How can my friends, relatives and supporters follow the race? The race website will be updated daily during the event with real time breaking news, stage updates, results, competitor blogs, features, and hundreds of photos and videos. These updates will keep family, friends and colleagues up-to-date with race results, weather conditions, stories from the course, and more. 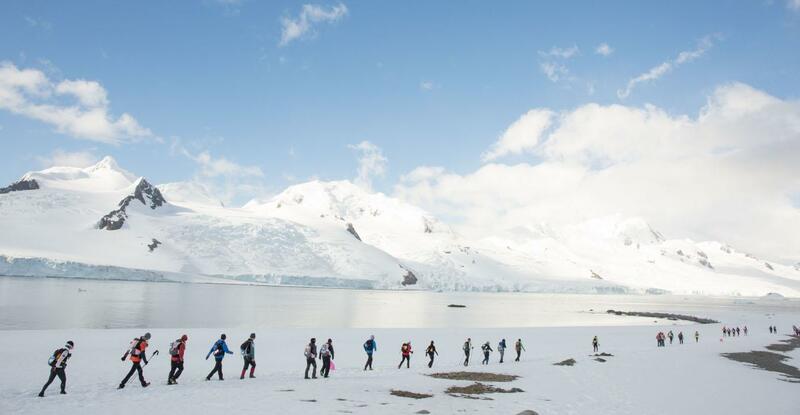 Supporters can also contact us if they wish to attend the finish line celebrations in person as we have a special “friends and family package” available at every race, even Antarctica. Can I volunteer at an event? The 4 Deserts typically accepts 16-20 volunteers for each 4 Deserts event. Those interested in volunteering should complete a volunteer application as early as possible - we accept volunteers on a rolling basis and receive many more applications than we can accept. The volunteer team works hard during the event, but the job is fun and very rewarding - many volunteers return year after year. What else is special about the 4 Deserts? Each event highlights an indigenous culture in the region with the hope of preserving the culture for generations to come. Competitors will experience the cultures of the Mongols and Kazaks in Mongolia, Atacamenos Indians in Chile and African tribes in Namibia. What is the best part of the event? Can I run for a charity? Absolutely - we encourage it. Giving back is one of the primary themes of the 4 Deserts mission. Many of our competitors have raised significant amounts of money for charities all over the world. My absolute goal is to complete The Last Desert in Antarctica. Can I compete in this event first? No. The Last Desert (Antarctica) is only open to those who have completed at least two of the other 4 Deserts events, including the Gobi March (Mongolia), the Atacama Crossing (Chile) and the Namib Race (Namibia). Any last words to describe the 4 Deserts?